Research insights: Here is a really handy infographic we obtained from Bureau Van Dijk recently. 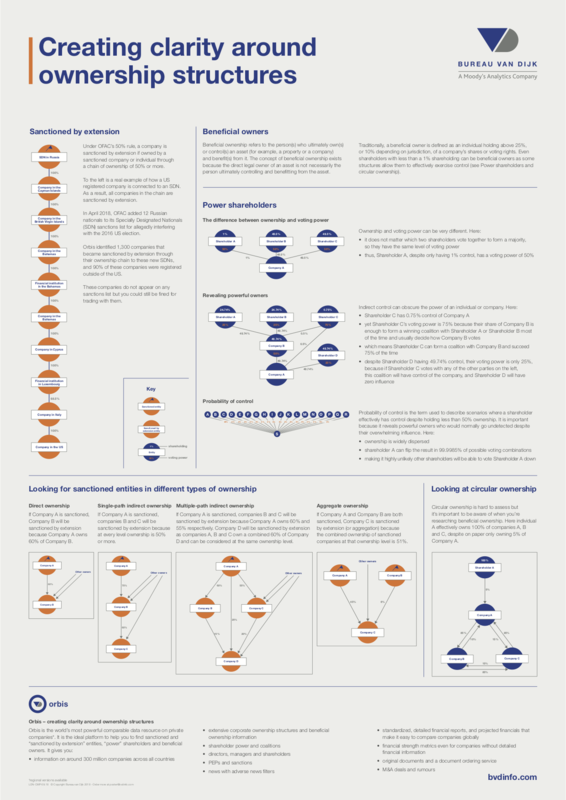 It presents some really complex structures in a way that is easy to visualise and understand. We thought you might find it useful when recognising or challenging ownership structures during your on boarding and ongoing monitoring obligations.